TrendBrew – Curated Social Commerce Network to Brew Trends and Make Money! 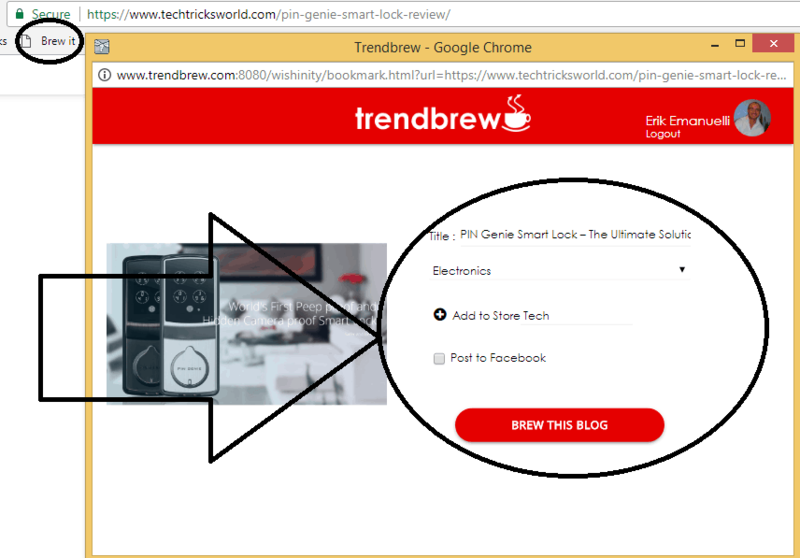 If you are somebody who is creative and likes sharing ideas, TrendBrew is the site for you. You can become an influencer, link products to blogs and videos, and earn a commission when shoppers buy what you suggest. Let’s see how Trendbrew works and how you can sign up and make money. 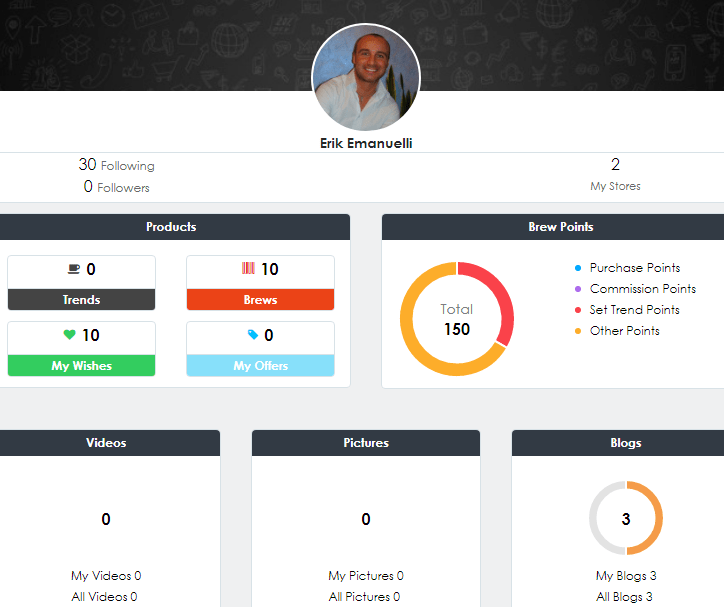 Trendbrew is a new social commerce network where users can shop products from 7000+ retailers. Users can check out multiple offers for different products, wish and get personalized offers from retailers and earn points for every purchase, while influencers can create their free digital stores, aggregate and build a follower community and earn purchase commissions. On the other hand, retailers can publish trending products, give personalized offers and increase online and offline sales. Signing up is very easy. It can be done either via email or your Facebook account. Now, you want to personalize your social shopping feed. Now, you want to name your first trend store. Add the item to one of your stores (you can also create new ones, at the same time you are brewing products). Set your wish price, so TrendBrew will alert you if the price of this specific item reaches your desired price point. Click on “become a trendsetter” and post it on Facebook, if you want. Same principle for curating blog posts. To answer this question, you need to understand why you (and your audience/following/users) should shop at Trendbrew and not directly at the store. It’s simple, actually. If you shop at the retailer directly, you’ll either earn the rewards given by the retailer, which can be used only at the retailer or its affiliates (or not earn rewards at all). TrendBrew enables you to earn Universal Rewards no matter which retailer you shop at. These rewards are easily redeemable from a range of gift cards (including VISA gift cards). Trendbrew aggregate products from 7000+ retailers. Hence, they enable you to shop all your favorite retailers on one single platform. You no longer have to download multiple retailer apps to shop. TrendBrew’s mobile app allows you to easily shop any retailer with just a click of a button. (Here‘s the link to the Android app and this is the one in the Apple store). Trendbrew is an interesting new concept, a social trending platform for e-commerce, tech, food, sports, media and entertainment. It may be the new age of social network and you have today the chance to sign in and jump on the bandwagon. 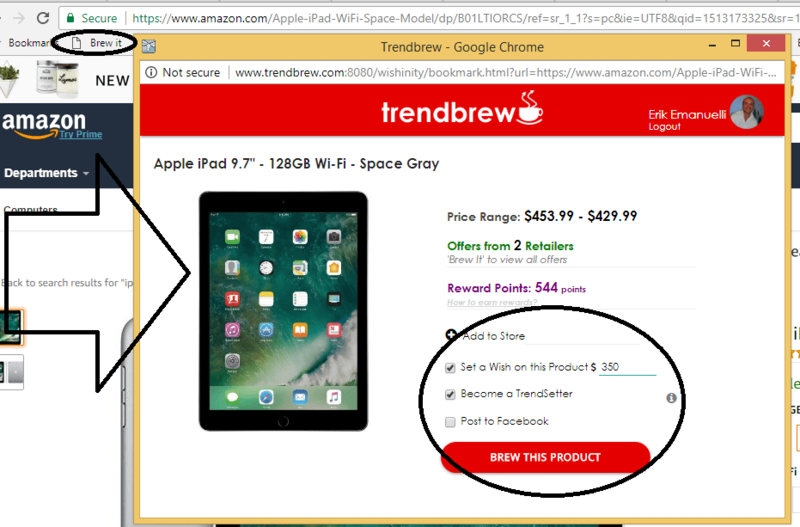 With 7000 retailers and brands, more than 2000 products and active offers, 1700 product brews and almost 5000 rewards given, Trendbrew is definitely a platform you should try. It’s free and you have nothing to lose. Whether you are somebody that sets trends or follows them, TrendBrew is the perfect way to shop & be social while earning rewards! And, as an influencer, you have more chance to make money. Are you going to sign up to Trendbrew? What do you think? Please share your feedback in the comments below, thanks! And don’t forget to share the post, if you liked it. Season’s Greetings to you and your wonderful readers. Glad to be here again after the holidays. Thanks for telling about this wonderful App. I just joined in, will come back to you with my experiences. Happy New Year and thanks for stopping by. Good to hear you found the post interesting, are you going to test it out? 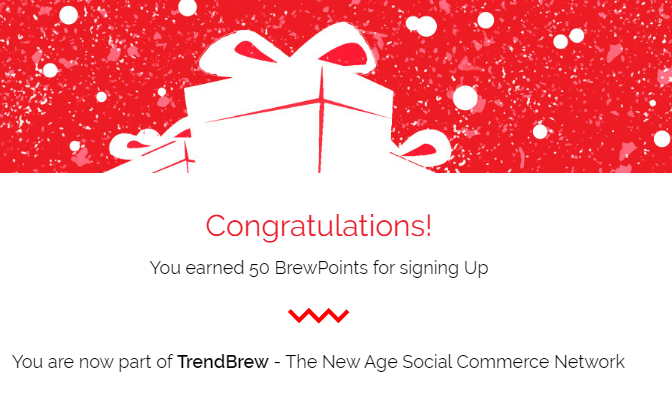 Yes, I downloaded the App and I earned first 50 BrewPoints. Will surely go forward to get more by involving it.